There are a few ways to get your Mac Pro working wirelessly: one of the common methods is to have one of the Apple Airport Extreme Cards fitted by Apple, or trying the fiddly procedure yourself. I didn’t like the look of the DIY option with the Apple upgrade option meaning having to be without my Mac Pro for at least a few days, not a reasonable option given my current work load. Another option is to use those mains wiring thingies that use your home wiring to distribute your internet connection, but I didn’t get a sense this was the best way. It may have been a cheap method, but many reviews told of a painful experience. Alternatively, one could pick up a USB wireless dongle, but these don’t feel substantial enough to me. I’m a heavy internet lover. The following explains what equipment you need for a Mac Pro to pick up a wireless signal, whilst avoiding having to faff around with internal Extreme card upgrades. My current method of connecting to the internet is via ethernet cable: a 20m beast running from the kitchen (where my BT Home Hub 2.0 is located), up the wall, across the ceiling, up the stairs, along the hall and finally into my studio. Not a particularly graceful solution to be perfectly honest with you. Therefore, the hunt has been on to find alternative solutions to getting my Mac Pro connected to the internet, without a 20m ethernet cable. 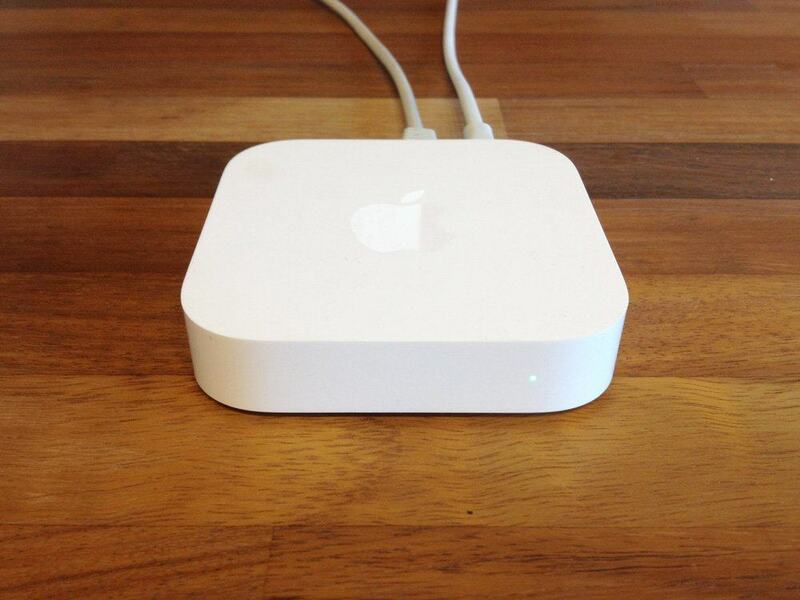 Airport Extreme and/or Airport Express? After refusing to be without my Mac Pro for a couple of days, and not totally feeling comfortable with one of these mains wiring thingies, one option that was left was to use the Airport Extreme Base Station, and/or Airport Express Base Station to achieve wireless zen. The challenge was to find someone that could give me a 100% accurate answer to which combination of Airport devices would be best. The more people I asked for advice, the more the answers seemed to vary. Some said: you would need an Airport Express cabled to your existing router with another Express cabled to your Mac Pro. Others said: you would need the Airport Extreme directly cabled to your existing router with the cheaper Express cabled to your Mac Pro. A few said: you could use the Airport Express whilst temporarily connected to your existing router during set-up, then attaching it to your Mac Pro. Yes. Each of these methods would work, but it might also be buying equipment that is not needed, especially the Others said method. I didn’t want to be reckless with my wallet, so decided to visit the Apple Store in Brighton, after a local Apple reseller gave me a bum stear on the Mac Pro Extreme card route. It turns out that the Apple representative had to get at least 4 opinions from colleagues once I explained my scenario. He was pretty sure that the A few said was the right one, but admitted to not being entirely sure due to the recent updates to the Airport hardware. After disappearing for about 10m—in which time I eagerly checked out the Apple TV—the Apple rep came back and confirmed that yes, in order to get your Mac Pro accessing the wireless signal of your BT Home Hub 2.0 (or other brand of broadband router), you need only buy the Airport Express Base Station. For under £80 my Mac Pro is now connected to the internet via the Airport Express Base Station. This picks up the wireless signal from the BT Home Hub 2.0 located downstairs. I was fortunate because my home based studio sits directly on top of the kitchen where my BT Home Hub 2.0 is located, so I don’t have to worry about the wireless signal deteriorating over distance. In order to set-up the Airport Express you only need use Apple’s Airport Utility application on the Macintosh, or use the iOS version of the Airport Utility. It was easy to set-up, and took just a few minutes to get it working with the BT Home Hub. If your Mac Pro is some distance away from your broadband router then you would likely need to rely on the Others said solution which would offer you convenient ways to extend your wireless coverage. But then we are talking about £220 instead of £79. My solution isn’t the best for everyone, but it may be of help to those that find themselves in similar situation to me. Getting an Airport Express Base Station, at least for me, was a far better solution than getting my Mac Pro torn apart so that the Aiport Extreme card can be fitted. If you don’t DIY it, then the total cost of this exercise will be around the same as buying both Airport Extreme and Express. With the latter you are also getting far more for your money due to the Airplay and other Extreme functions. I’m not particularly sure what the speed issues are with the various options, but I do know that after a day or using my Mac Pro wirelessly with the Airport Express sitting on my desk, I am very happy with the results. 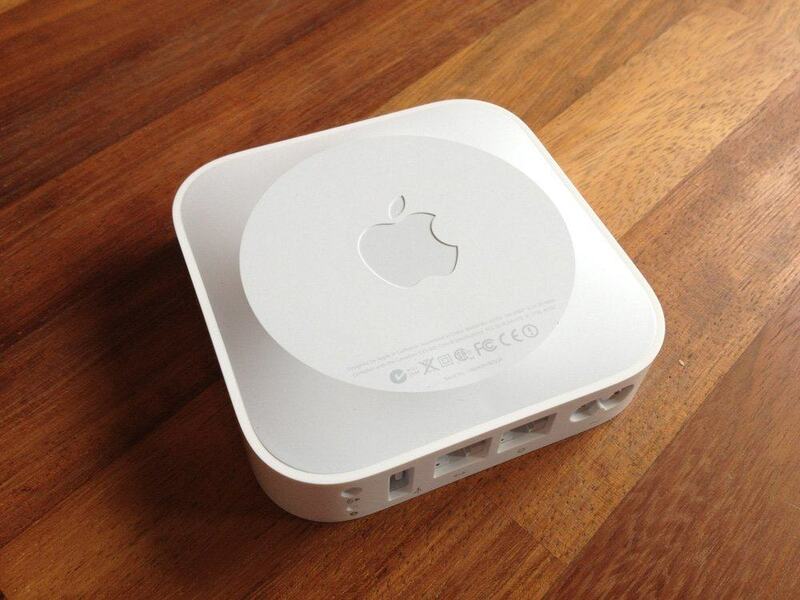 The Airport Express is also a thing of beauty, both top and bottom.